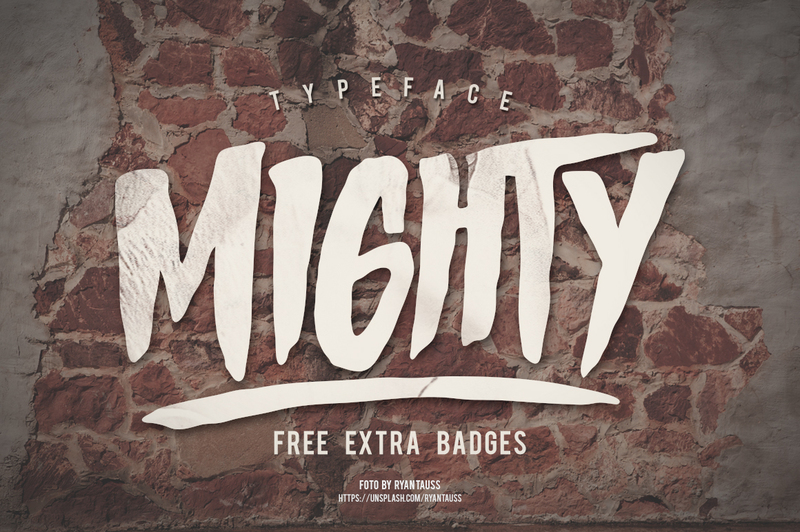 Hello… Hopefully MIGHTY Typeface can make it easier to convey the message in your design. Use for awesome display, labeling, clothing, movie sceen, poster, movie title, gigs, album covers, logos, and much more. A font family published by Giemons on Monday, March 7th, 2016 that has 1,714 views so far.